When I heard about David Bowie death I was in shock. Unlike other rockstars Bowie led a very private life and like most people I didn’t even know he had cancer. David Bowie was at the peak of his career in the late 1970’s and 1980’s . I was about 14 when I heard the song “Changes” one day after school at my friend’shouse. The song shocked many because the lyrics were interpreted that Bowie was either gay or transgender. The song was written about a very “taboo” subject at the time it was released. I remember my friend and shut her bedroom door so her mother couldn’t hear us playing “Changes” over and over again…….. I fell in love with David Bowie’s music that day so long ago. 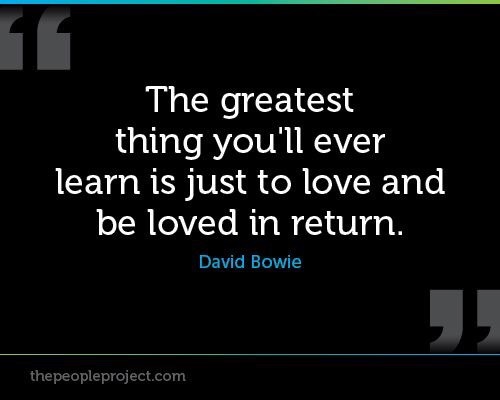 Bowie was a true original. He didn’t care if he was labeled “weird” or controversial. He was a true artist and talented writer. His songs have some of the powerful and beautiful lyrics about his view on life and love. So many of his song lyrics have become very popular quotes. 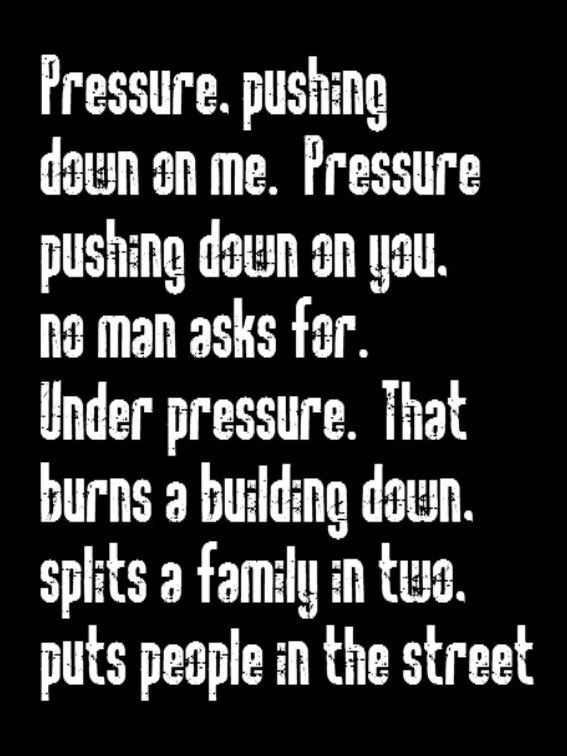 Below are some of my personal favorite David Bowie lyrics that touched my life forever. 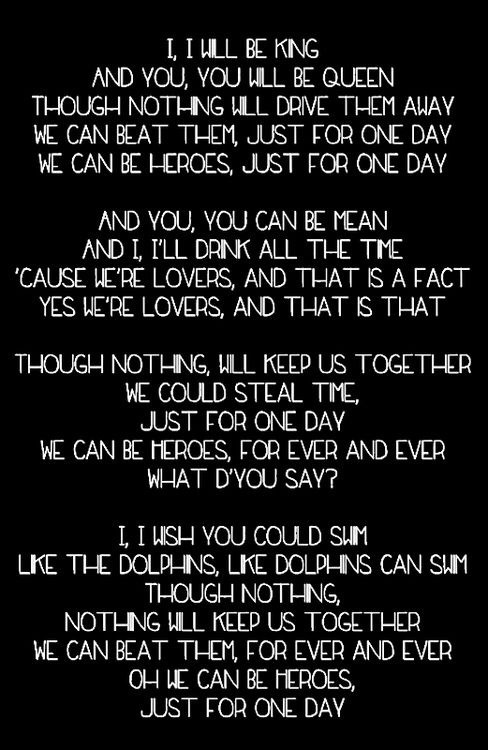 And my all time favorite lyrics from the song “Heroes”, in photo below, because it is a profoundly beautiful statement how he felt about love and relationships. We lost a true Rock Icon the day David Bowie passed away , but he left us his musical legacy that will be listened to for generations. Next Is A Voodoo Doll Like A Person So You Can ….. Hurt Somebody?